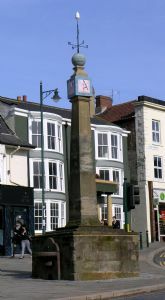 Guisborough grew rapidly in the 1970s as industry thrived on Teesside. Several young Christian families who had moved into the area met for prayer. From this dedicated group Guisborough Evangelical Church was constituted as a church in 1979. The first meetings were in Galley Hill School then moving to Fountain Street as a suitable building became available. Three elders oversaw the preaching and teaching. The first pastor Dr Ivor Oakley was called in 1993. After his retirement, a new pastor came in 2002. The present minister took responsibility in 2009.